Hello! 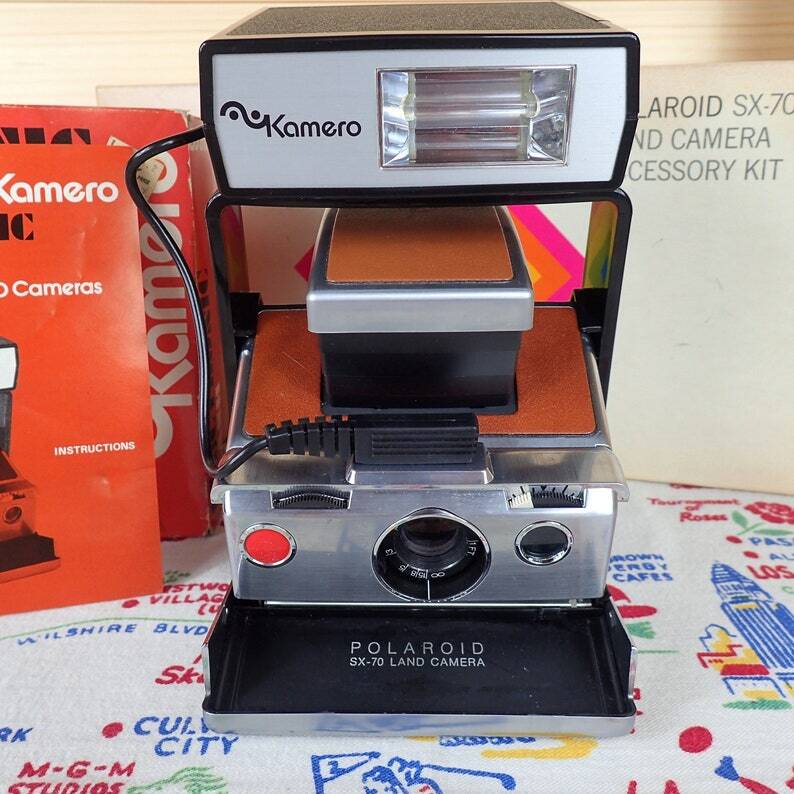 I have a Polaroid SX-70 outfit that consists of a folding model Polaroid SX-70 Land Camera, the matching Polaroid Accessory Kit, and a Kamero flash unit, all in their original boxes. All three items are in great condition; camera has little wear, the accessories and their boxes are in fine shape, and the flash unit is in like-new condition with that new plastic smell! The camera has been film tested and flash has been tested with the camera. This makes a perfect present for that person on your list who loves instant analog photography! Please be sure to look at all the photographs in this listing. Contact me if you have any questions, both before and after the sale, too. I do offer combined shipping to save on costs. All sales final, but please contact me if you have any questions.